Contributing dwellings on Reber Place. Southwest Garden is a vibrant neighborhood that borders the National Historic Landmark Tower Grove Park on the west and north. 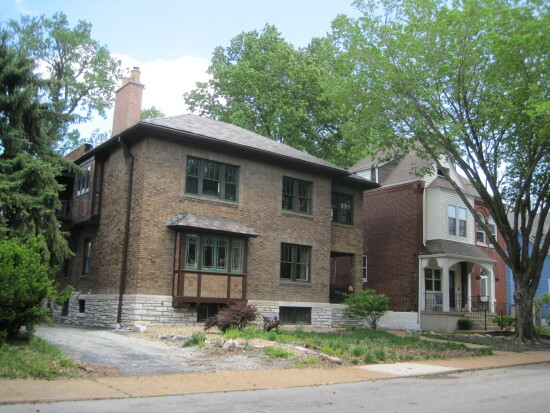 In 2011, after conducting an architectural survey, the Southwest Garden Neighborhood Association hired PRO to designate two new historic districts in the neighborhood. The Reber Place Historic District was the first to be drafted, with Lynn Josse as principal author. Looking onto Reber Place from near Tower Grove Park’s western gate. The Reber Place Historic District is a six-block area located in the south central section of the city of St. Louis. The district is bounded by Kingshighway Boulevard on the east, Arsenal Street on the south, Southwest Avenue to the north, and the north-south alley just east of Hereford Street to the west. 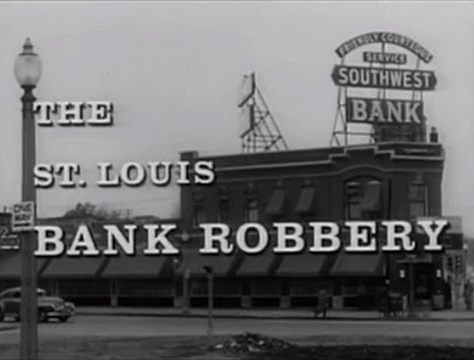 The Reber Place Historic District is located on one of the highest points in the City of St. Louis. The site slopes gently upward from northeast to southwest; the city’s highest point is less than a mile to the west. The Reber Place Historic District lies at the eastern edge of the property granted by the Spanish authorities to Charles Gratiot. The tract known as the Gratiot League Square was divided up in the first half of the 19″ century, and by 1868, Samuel Reber had purchased a portion, located along the north side of the Arsenal road and the west side of what had become King’s highway. Judge Samuel Reber died in 1879, leaving Margaret with two tracts of land west of Tower Grove Park. In the years following Judge Reber’s death, there was good reason to believe that this piece of property could become one of the most valuable in the city. While most of the immediate area had a rural character, there were several important roads adjoining the property. As early as 1883, plans were advanced at the Board of Public Improvement for a boulevard system which would pave and landscape Kingshighway as far south as Tower Grove Park. Mrs. Reber’s property was not the first tract in the area to be subdivided. But with its platting in 1885, the Reber subdivision clearly had aspirations that the typical street grid couldn’t match. The centerpiece, Reber Place, would be a 130 foot wide street including a 50 foot median. The streets to the north and south, Magnolia and Odell, were a very generous 80 feet. The park gates were set back from Kingshighway, resulting in a thoroughfare some 100feet wide at that point, narrowing to a mere 50 feet to either side. To remedy this inadequacy, Mrs. Reber’s plat included a 10 foot wide strip along Kingshighway dedicated for the future widening of that road. 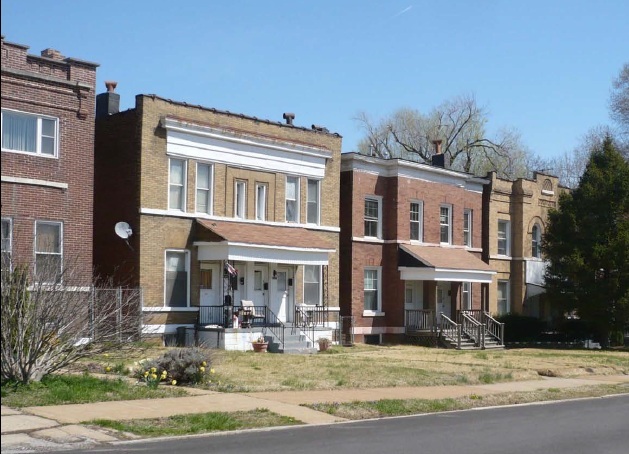 With its 130-foot width and median park, Reber Place had attributes that were rare even among St. Louis’ elite private streets. Residential streets with similar park features would become prevalent in the city later. However, prior to 1885 only four significant streets with central park space had been platted and developed. Mrs. Reber signed off on the creation of the new subdivision in September, 1885. It is clear from the plat map that the east-west streets were expected to continue across neighboring unimproved property and meet up with the same streets already existing to the west. But by June, 1886, only nine months later, the route of the new St. Louis, Oak Hill and Carondelet Railroad was introduced in the Municipal Assembly. Back in 1881 there had already been discussion of a rail route through south St. Louis which would connect the two. The railroad would permanently separate Mrs.Reber’s subdivision from the tracts to the west. The presence of a railroad connection could spur residential development, as in St. Louis’ commuter suburbs. The arrival of the railroad could also attract industry. In Reber Place, it did both. A few months after the route of the line was introduced in the Municipal Assembly, a large parcel along the railroad, roughly the same size north-south as Tower Grove Park, was purchased by the Blackmer & Post sewer and tile company. Mrs. Reber sold all of her interest in the Reber Subdivision in 1887, having sold only four full lots and four partial lots. She received $30,000 for the property. The new owner, Mrs. Flora Haydock of Cincinnati, immediately put the development and promotion of her property into the hands of her agents, Rutledge & Horton. In 1888, a far-sighted investor could have seen a promising location, an easy rail connection to downtown, the announcement of an elevated rail line in the near future, and 50′ lots available. Plans had been announced for the extension of the streets of Reber Place, although this would not actually occur until West Reber Place was dedicated in 1893. In 1903, 62 buildings constructed in Reber Place were single dwellings. The remaining four were pairs of attached townhouses. By 1926, more than half of the new buildings in Reber Place were multi-family dwellings (two and four family flats as well as four-family walk-up apartment buildings.) There were now two shops facing Kingshighway, along with a filling station and a church (both now demolished). Cleve’s subdivision immediately north had developed into a complementary subdivision with neat rows of bungalows and townhouses. Most of the new buildings were modest single family dwellings. During this period, Cleve’s subdivision saw more growth than Reber Place. This likely had to do with the availability of tracts of multiple lots, which were becoming attractive to the new generation of builders. The shift from a system of owners contracting for individual houses to developers doing speculative building is typical of this period. The practice increased in the 1920s. Contributing multiple dwellings on Arsenal Street. Buildings of the district were constructed over a period of more than 70 years, and reflect an identifiable pattern of evolution in both style and property type. The first buildings in Reber Place were large single-family homes built on the 50-foot lots sold at the creation of Reber Place. A few of the large lots were split up in the 1890s, and houses were built on some of the smaller lots in the additions of West Reber Place and Cleve’s subdivision. Fifteen years after the first house was constructed, the only multi- family dwellings were a few attached townhouses. Some of the early houses were constructed on a speculative basis, but large-scale construction by developers didn’t start in this neighborhood until about 1910, when owner builder Albert Finch constructed eighteen two-family buildings. Developer Sam Koplar filled out much of the rest of the same block with bungalows in 1912-1914. The first multi-family flats in the area were constructed in 1906, but the type was still uncommon in the neighborhood until Finch built flats in 1910. In 1922, the first of the neighborhood’s 18 four-family walkup apartments were built. Construction remained slow but steady through the 1920s. Still, not every lot was filled in. Activity came to a temporary standstill during the Great Depression, with only one residential building built. In 1941, construction began to pick up again. Three buildings from this decade are commercial buildings. Additional construction in the 1950s included a new property type, the duplex, as well as single-family dwellings, commercial buildings, and Holy Innocents Catholic parish’s impressive new church. During this period, most of the new construction was on lots that had remained open since the subdivisions were originally platted. A few houses were constructed on the sites of earlier frame buildings. This area has significant associations with patterns of residential planning usually seen in the successful private places of St. Louis, with rail-oriented suburban development, and with later typical patterns associated with the rise of the builder-developer and the streetcar grid. With the exception of commercial intrusions and parking lots at the northeast and southeast lots of the district, Reber Place is exceptionally intact. Official map showing contributing and non-contributing resources.